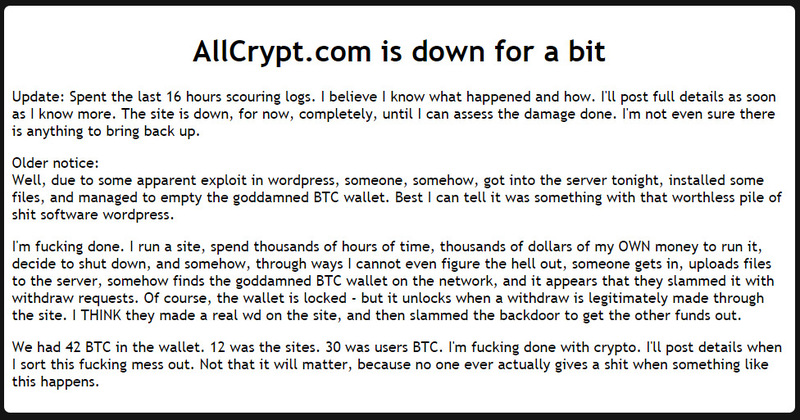 The alternative crypto currency exchange AllCrypt has apparently been hacked with 42 BTC stolen by the hackers. The website of the exchange is currently down, showing just a message explaining the situation a bit, though not a lot of details are available and currently the future of the exchange is uncertain. The stolen Bitcoins might not seem that much, but for a smaller alternative crypto currency exchange even such an amount is not small. 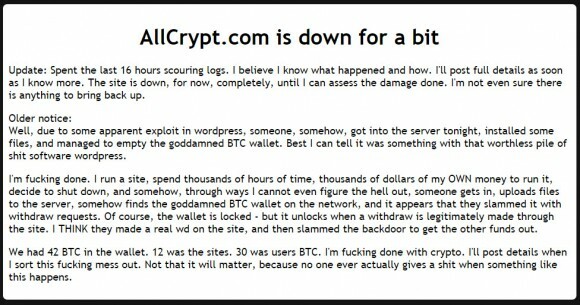 It seems that the hacker used an exploit in WordPress to breach the security of the exchange and steal the Bitcoins from AllCrypt.